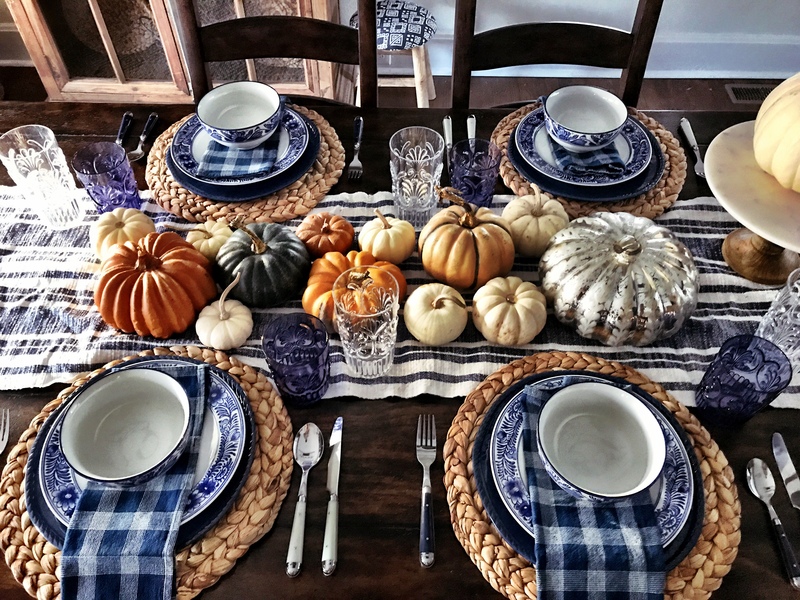 I have never actually hosted Thanksgiving since my parents have held it at their home since I was little, but I just can’t resist a good holiday tablescape. 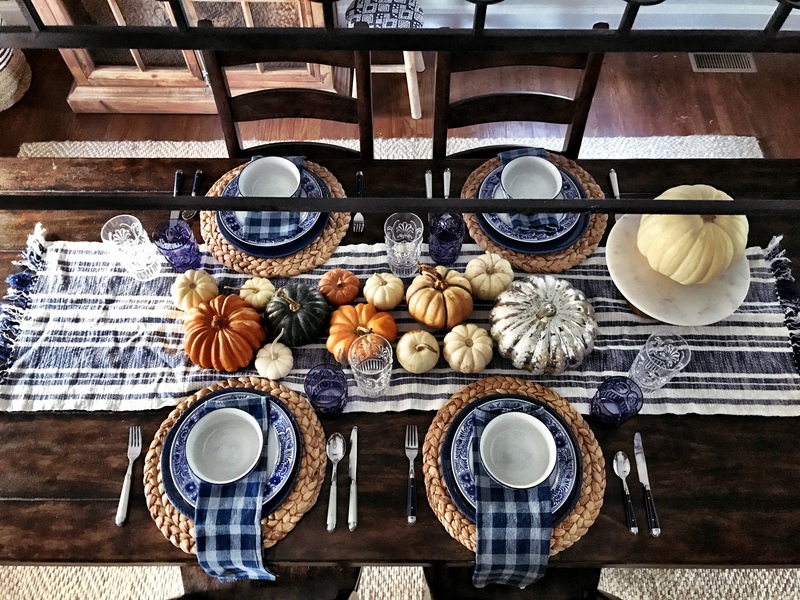 Since I have successfully put off throwing away the last bit of our fall decor this long, I decided to use what was left to create a festive table setting that takes all of five minutes or less. 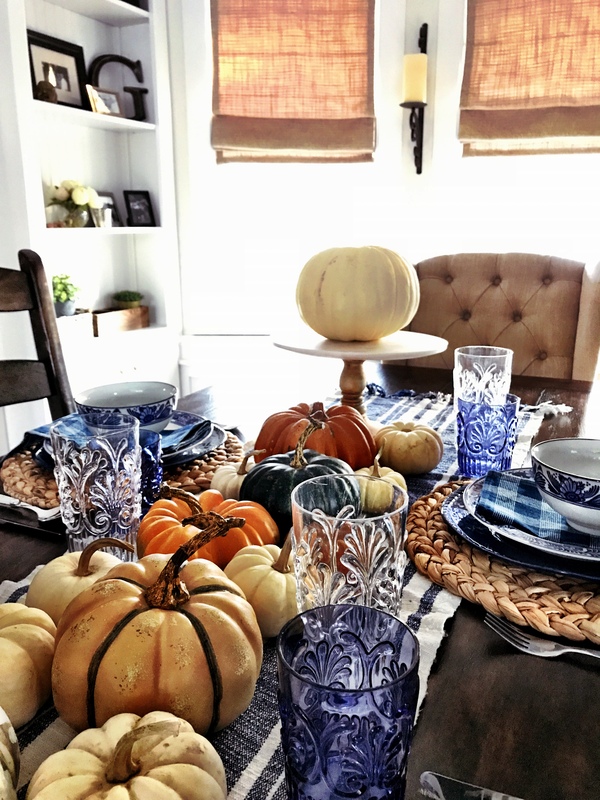 To cut down on set-up time, I chose a theme, this way I didn’t have to go looking for a bunch of different items and the end result ended up consistent, clean and less cluttered than if I were to have kept adding more. 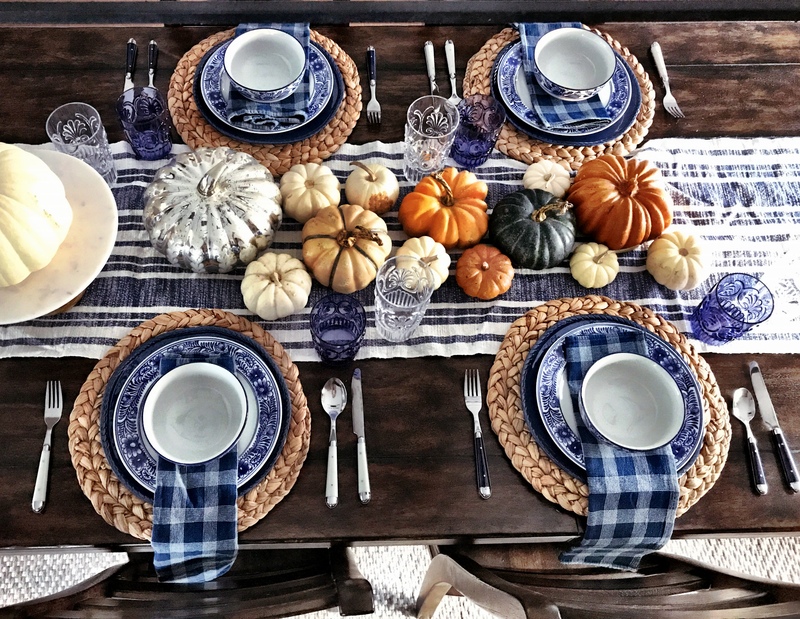 It helps that our family usually keeps things informal, which means no need for fine china or place cards, and a few less things to worry about the day of. 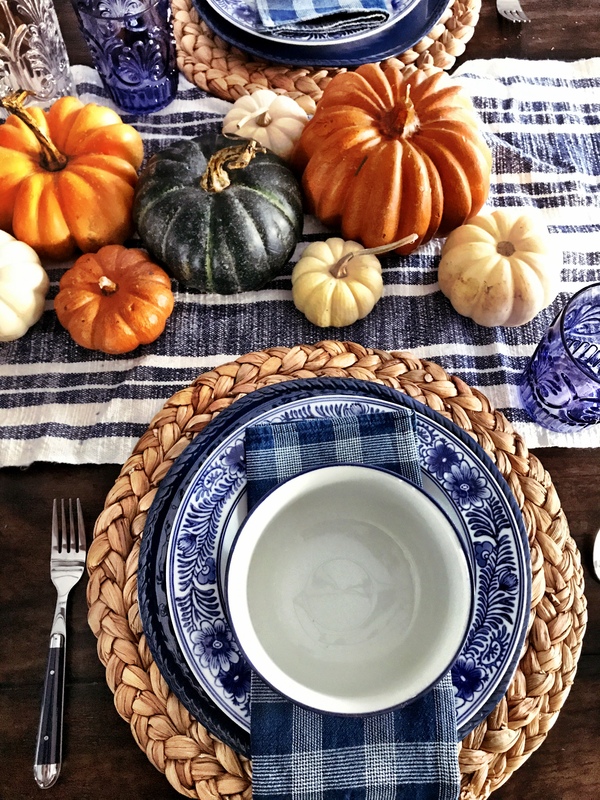 I used all of our everyday dinnerware (sources listed at the bottom of the post) mixed with the last few real pumpkins that were on the mantel, and some pumpkin candles that were scattered throughout the house. 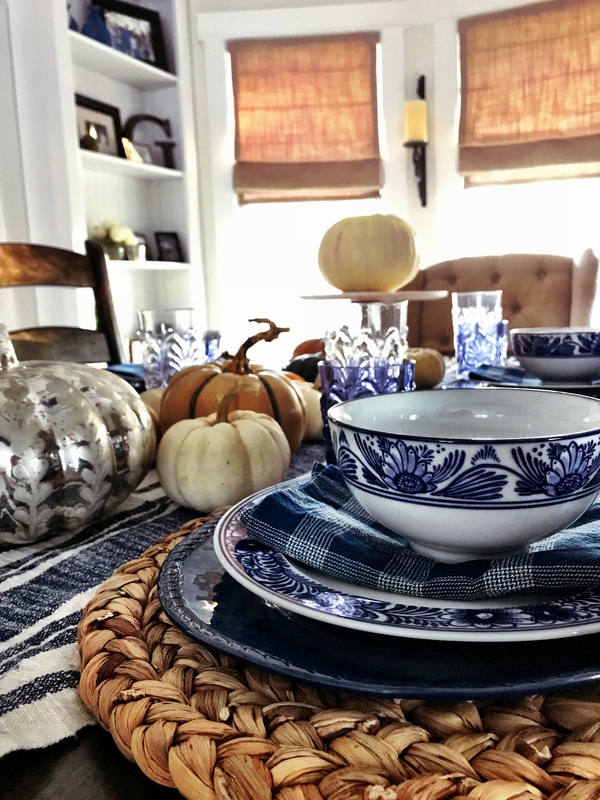 I love the way the combination of blue and white looks with pops of rich color, so I used a variety of autumnal tones. 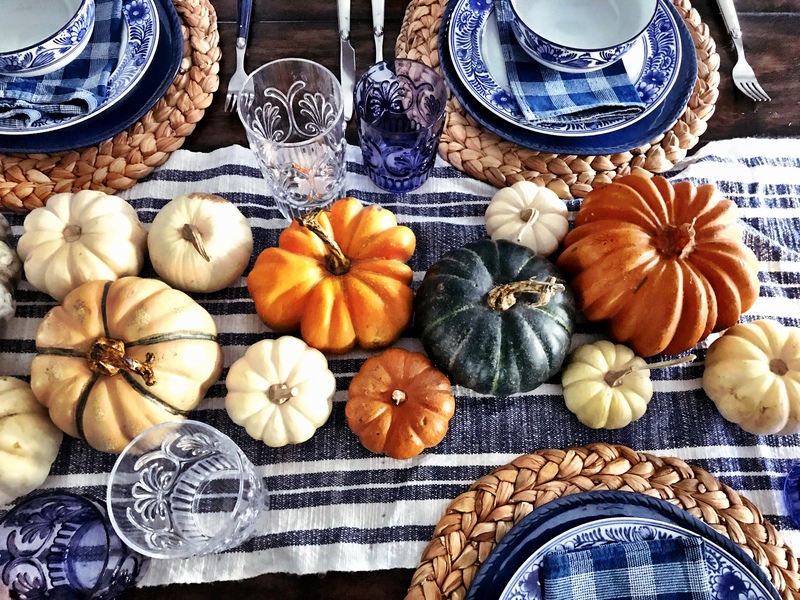 If your pieces are more eclectic or if they clash with certain fall colors, sticking with all white pumpkins instead would work so well, too. 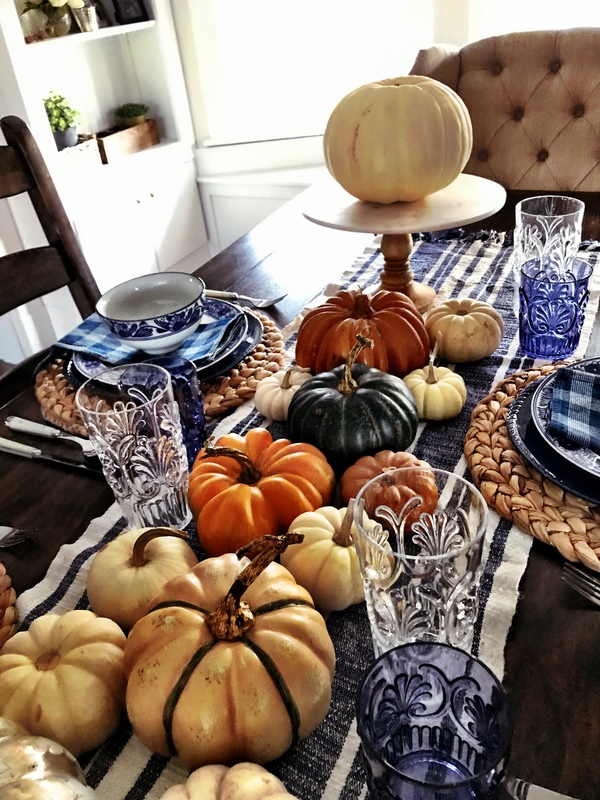 If you have another minute to spare (and don’t have toddlers running around, like me) you can light a few candlesticks spaced out every few pumpkins or so and voila! 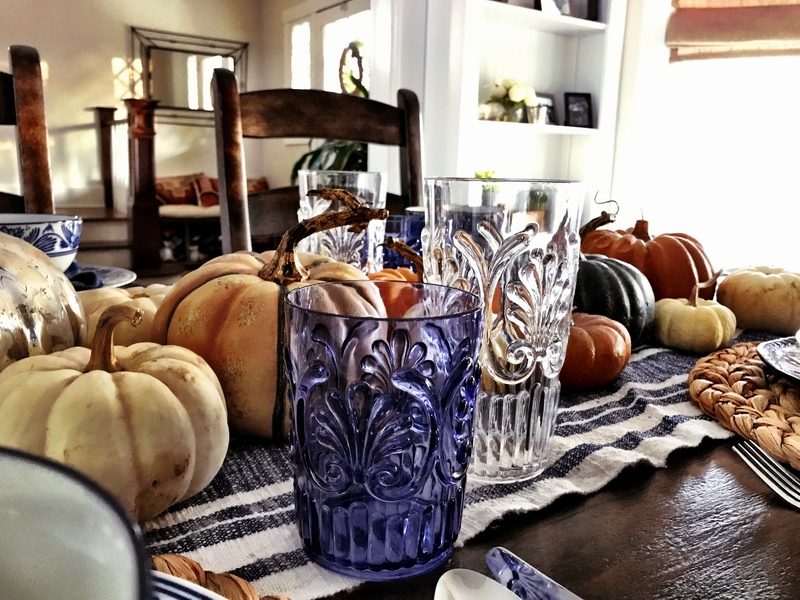 *When decorating a table, I like to stick with an odd numbers of things, so it looks more natural. 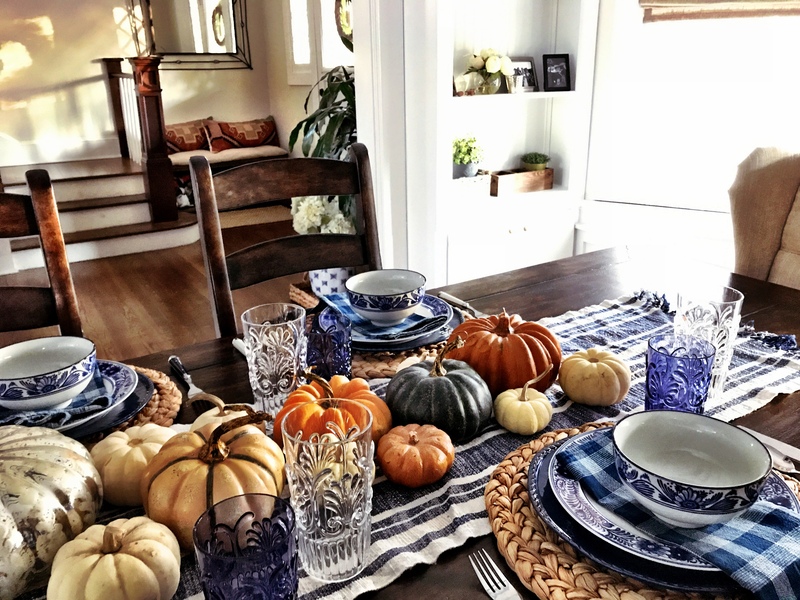 So, 13 pumpkins (and three candlesticks, if not for the said children, ha!) worked perfectly. *And when you can, incorporating items at different heights is always appealing to the eye. Here, I just added a cake stand that sits in our dining room cabinet. 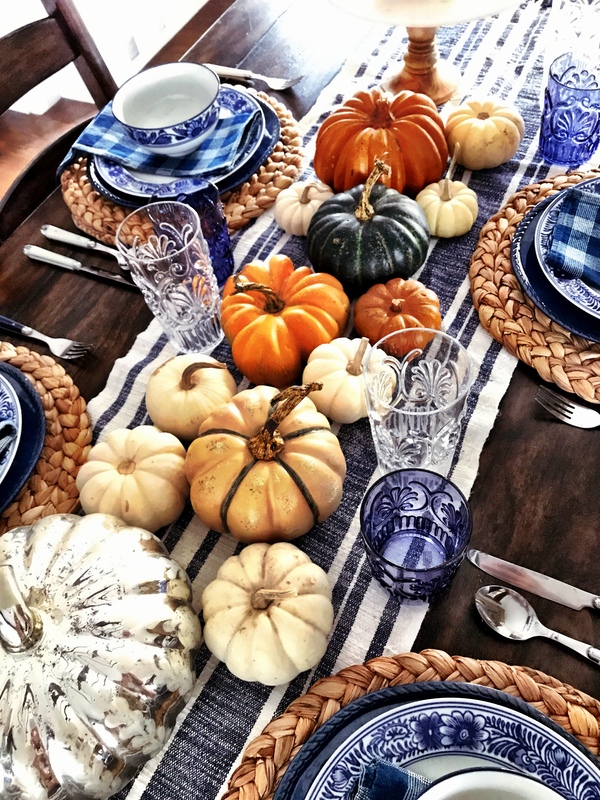 *Make sure to leave plenty of room on either ends of the table decor for all the yummy food! I love inform party, families can have relax time and enjoy the time, so interesting!